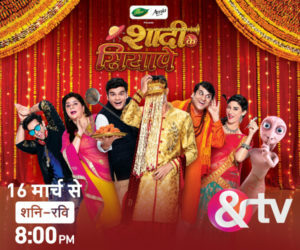 BARC India has released its weekly viewership data today (Thursday, March 2) basis a revised Universe Estimate (UE), which is based on the results of Broadcast India Survey undertaken to ascertain the TV universe and Television Viewing Habits in the country.Â With this, BARC India has updated and aligned its TV Universe in line with ground level changes in demographics, TV ownership and connection type, language preference, changes in NCCS profiles etc, notes a communique. â€œThe study also highlightsÂ the fact that TV HHs have grown faster in NCCS B and C, thus increasing the share of the middle class. While NCCS A has dropped from 22% to 21%, NCCS B and C have gone up from 24% to 27% and 31% to 32% respectively. NCCS D/E on the other hand has de-grown from 23% to 20%.Â These trends are in line with fragmentation of family sizes (leading to lower average family sizes) and rising economic growth and rising prosperity. It also shows that India has more nuclear families without elders than ever before, and it is also the dominant family group among TV owning homes. While composition of joint families in the universe has come down from 26% to 22%, nuclear families with elders has grown from 53% to 58%. â€œSome key changes have been seen in the BI study like electrification, migration, digitisation, rise in smaller and nuclear family culture, increase in middle class, inclusion of rural markets and single TV households which has an impact on TV viewership behaviour.